The MK-II was dreamed up by Rudy and Mark in 2000 when Mark wanted the same guitar that he had been playing for years, but in a shorter scale length. 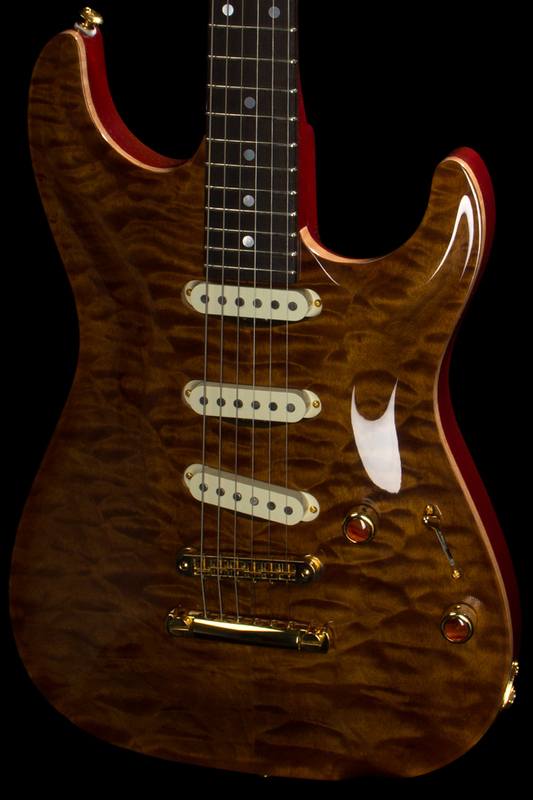 It pairs the traditional tonewoods of Mahogany and Maple with a Mahogany or Maple neck, and a Rosewood fretboard. 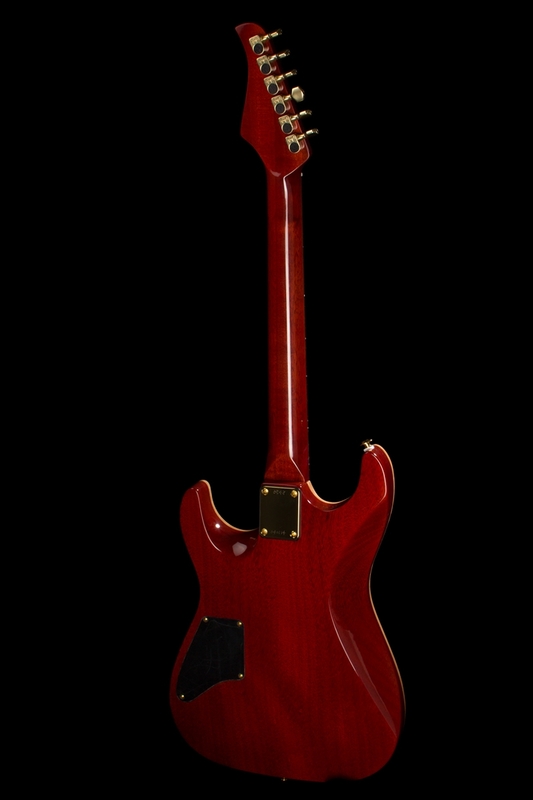 The MK-II features a carved figured Maple cap on a Mahogany body. Masked binding is included. Ivroid binding is available for an additional charge. The MK-II comes standard with custom wound Lindy Fralin pickups. Other options are Seymour Duncan, DiMarzio, EMG, and TV Jones. All MK-IIs can have any pickup configuration you would like. The S/S/S configuration includes a reverse wound pickup in the neck position rather than the traditional middle pickup. This allows for a tele-style pickup combination in the fourth selector position. We also add a push-pull knob so you can use the bridge and neck pickups in series in the fifth selector position, with the push-pull engaged. Standard hardware includes a Hipshot tremolo or hardtail bridge, or a Stop-Bar with a Nashville style bridge. Schaller or Gotoh machines and matching Q-Parts knobs are also standard. Bigsby vibrato systems are available at an additional charge. The MK-II neck features a 10º tiltback headstock and a matching headstock veneer. Choice of Maple or Mahogany neck with a Rosewood fingerboard. 24.6" or 24.75" scale length and 22 Dunlop 6105 or Jescar EVO Gold frets. Ivroid binding is available at an additional charge. We offer a variety of neck shapes including C, D, V & U shapes in various thicknesses and tapers. Ivroid fingerboard binding is available at an additional charge.